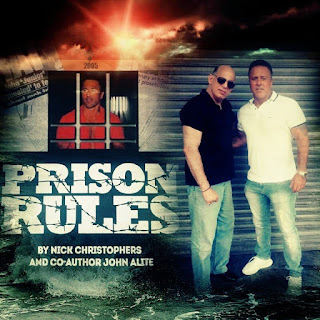 Alite: Bookmaking "the Least of Doing Anything Wrong"
In early March 2014, "60 Minutes Sports" on Showtime aired an interview with John Alite, marking the former gangster's first interview since finishing an eight-year prison sentence for racketeering two years ago. Alite was an associate of the Gambino crime family before deciding to flip and become the Fed's "star witness" against John Gotti Junior in a 2009 trial that ended with a hung jury. Alite had been keeping a low profile since getting out of prison. "60 Minutes" focused Alite's interview on sports betting, a hot political issue in New Jersey, but also included some of the highlights of his career on the street, limiting its scope to the turncoat's doings in the New York area, where he worked under the Gottis. But he also was quite active in the criminal underworld in Tampa, Fla., working under fellow New Yorker Ronald "Ronnie One Arm" Trucchio. The program features some interesting details. 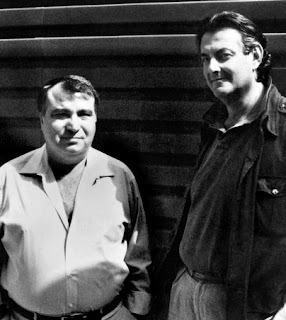 Alite said becoming a bookie was one of his first rackets; he'd learned all about the sports-betting business from family members with whom he lived in the same house in Woodhaven, Queens. "I was good at it and I became very good at it, and I became a professor of bookmaking," Alite told correspondent Jack Ford. In terms of how much he earned, Alite ducked the question, answering that if he lost $325,000 in one weekend, he never panicked because he knew he'd earn it all back. "Twenty-two years, I never lost a dime," he said, noting that the gamblers always lost, insinuating that even if they would win, they'd eventually give it back one bet at a time. That's why he became a bookmaker. "I know you can't win. At the end of the day I wanted to put money in my pocket," he said. "I became the house. The house doesn't lose." 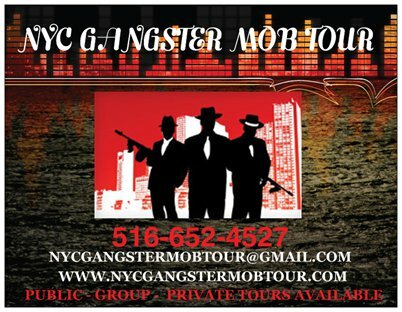 Discussing his time in New York working as a Gambino operative for John Gotti Senior, Alite seemed unable to say the man's name, referring to him as "Senior." And Gotti Junior never came up once during the interview. "When Senior Called... You Took Care of It"
Asked about his days as a Mafia associate, Alite said: "I was taking the orders as far as who to hurt, who to kill, who to put in the hospital. When Senior called, you went, no excuses, you took care of it." Asked how he felt when he got his first order to kill, Alite said, "I wanted the order." "I wanted to be completely in and trusted, and to believe that he liked me that much, that he trusted me to do anything for him." Sports betting is a major cash cow for mobsters, and in fact it's not even considered a crime among mobsters. "To us, this is the least of doing anything wrong," he said. 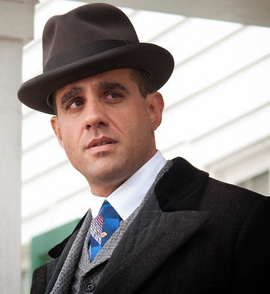 "If you're gonna get arrested for bookmaking, they're gonna laugh at it." He said usually a little jail time or a ticket were the most you'd get for taking bets. "The other stuff you're gonna go to prison for." Asked to describe his usual customers, Alite rattled off a list that included "Detectives, police officers, businessmen, Wall Street guys, store owners, school teachers..." He added that he personally knew members of law enforcement who "ran their own businesses... Sometimes they'd call in their action to us." Alite, walking the streets of Woodhaven with Ford, stood in front of the house he grew up in, with other extended family members. "We lived on the middle floor," he said. "I was a successful businessman," Alite said, when asked what he thought of himself while committing the various crimes that enabled his highflying lifestyle, which eventually expanded to include the ultimate crime: murder. In those days in the mid-1980s, he used a local tavern, Neirs, which is described as one of the oldest such establishments in Queens, New York. 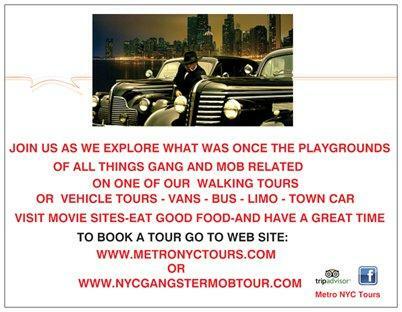 Many scenes for the film GoodFellas were shot there. It was here where Alite (and a couple of his guys) sat at a back table and conducted business, settling up debts, doling out payments while collecting money from losers (there was always much more of the latter, he said). Alite's criminal life came to an end on Jan. 16, 2008, when he signed a plea agreement with federal prosecutors. It was kept secret, however, until December of that year, "its release triggered by another mob trial set for January in New York," according to the Tampa Bay Times. As part of the agreement, Alite admitted involvement in two murders, four murder conspiracies, at least eight shootings and two attempted shootings — including one in which the intended victim was his former roommate at the University of Tampa. 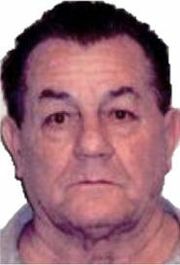 He acknowledged his role as a top associate in the Gambino crime family and specifically admitted to participating in the murder of George Grosso on Dec. 20, 1998, and in the murder of Bruce John Gotterup on Nov. 20, 1991. 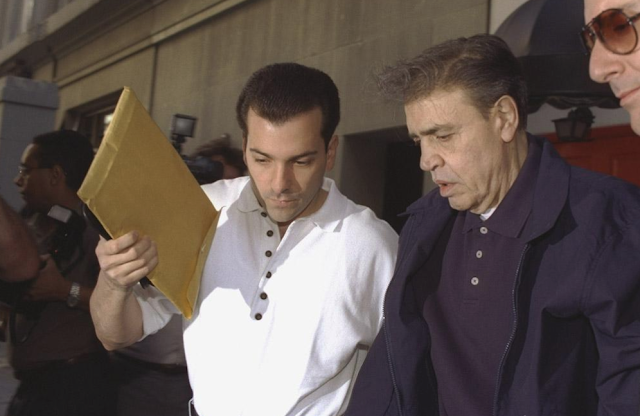 Prosecutors said Alite also admitted to participating in four murder conspiracies, including conspiracy in 1990 to kill Louis DiBono. Alite also acknowledged participation in armed home invasions and armed robberies in New York, New Jersey, Pennsylvania and Florida, the government said. 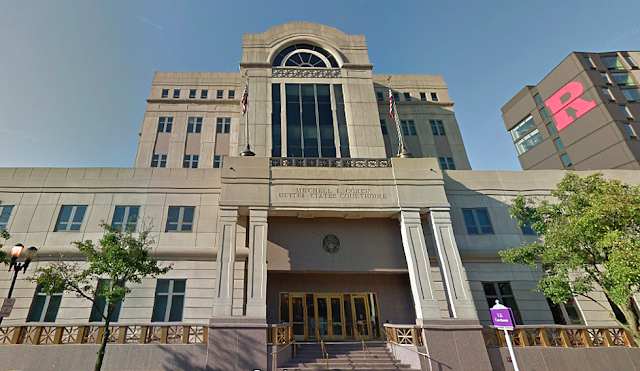 Alite figured prominently in the trial of Ronald "Ronnie One Arm" Trucchio and three co-defendants found guilty of conspiracy and racketeering by a federal jury in Tampa in 2006. Alite and Trucchio, a captain in the Gambino crime family, were business partners, federal prosecutors said. At the time, prosecutors accused Alite of controlling illegal businesses, illegal gambling, extortion, drug trafficking, money laundering, kidnapping and murder.They used Prestige Valet, a Tampa company, to infiltrate the local valet business. U.S. District Judge Steven Merryday granted the defense motion to transfer Gotti's federal racketeering and murder charges from Tampa to New York, where Gotti's attorneys argued the bulk of the alleged activity took place. Assistant U.S. Attorney Jay Trezevant has said that Alite and Gotti knew each other from Queens, N.Y. Gotti signed as a witness on Alite's marriage licence in 1989, records show. During a court hearing in Tampa Trezevant disclosed that Alite went to Gotti some time in 1989 with an idea to expand the Gambino crime family's reach into Tampa through the valet parking business. While he honeymooned in Hawaii, Alite had reconnected with his UT roommate, and learned of the roommate's booming valet operation, Trezevant said. "Timmy Donovan [the roommate] is fascinated by this whole John Gotti organized crime thing," Trezevant said in court. 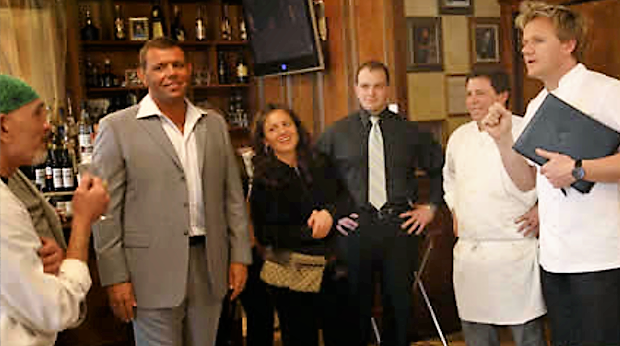 "John Alite is interested in the fact that Timmy Donovan is a successful valet parking businessman in Tampa making a bunch of money for a young guy. And it's a cash-based business." Donovan testified as a government witness during the 2006 Trucchio trial. At the time, he said he helped Alite set up his own valet business in New Jersey, though they were never partners. When Alite ran into money problems, he came to Donovan. But Donovan testified that he didn't have the $10,000 Alite wanted. Federal prosecutors said Alite also admitted to extortion in the valet parking businesses and the businesses of bar and lounge security as well as trafficking in cocaine. FBI 302 Proves John Gotti Junior "Talked"